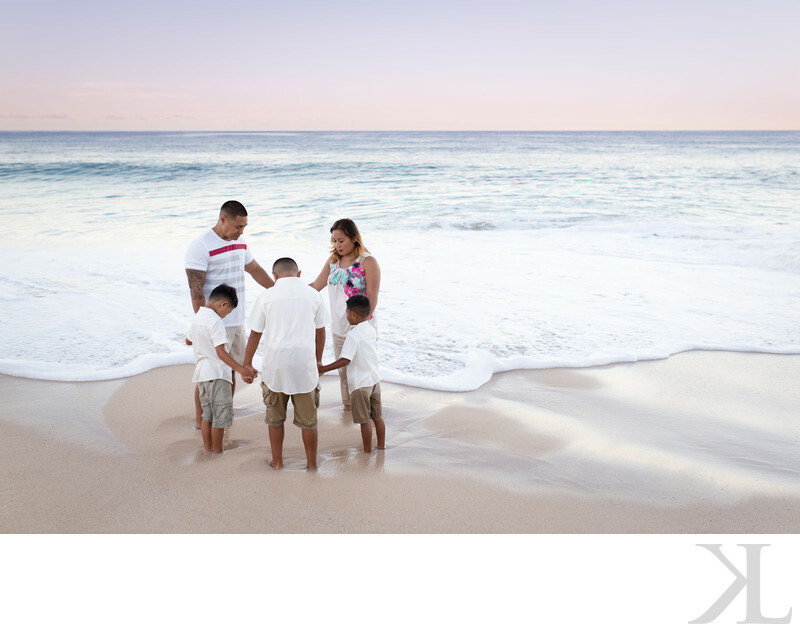 This family photo shot at sunrise at the Nanakuli Beach Park in Waianae is one of my favorites. The father wanted a photograph of them praying on the beach as the waves came upon the shore. This is a great location for both sunrise and sunset family portraits if you're staying at one of the resorts in Ko Olina, such as the Four Seasons Oahu, Aulani Disney Resort, or the Marriott Beach Club. For morning sessions, it is worth arriving before sunrise to catch the early morning pastel-like hues in the sky. Family portraits are available Monday through Friday, either early morning or late afternoon. Location: 89-269 Farrington Hwy, Waiʻanae, HI 96792.